What Spice Is a Substitute for Cumin Seed or Powder? Home > Food Facts > What Spice Is a Substitute for Cumin Seed or Powder? Cumin is the dried seed of a herb known as Cuminum cyminum—a member of the parsley family. Cumin is native to the Mediterranean and therefore quite popular in Mediterranean cuisine. It is also common to find cumin seed in Mexican, Middle Eastern, East Asian, and Indian cuisines, especially since it is a main ingredient in curry powder. But not everyone is a fan of the distinct cumin taste and smell. And while cumin allergy is quite rare, some are especially sensitive to proteins in the herb. Also, if you don’t have it in the pantry and you’re pinched for time, you may need a cumin seed substitute in its place. That is why this article will focus on a key cumin substitute, as well as various other cumin seed substitutes that will make your dish taste just as good. Cumin has an incredibly distinctive bitter flavor, and a strong, sharp, warm, and spicy-sweet aroma, due to its abundant content of oil. Some would also describe the flavor as powerfully pungent. Why is cumin bitter? This is likely due to a natural compound in cumin seeds called cuminaldehyde, which gives them their peppery, nutty, and lemony taste that is also somewhat bitter. Some studies suggest the compound is particularly useful to aid digestion, boost immunity, fight infections, promote skin health and detoxification, prevent diabetes and cancer, and treat respiratory disorders and insomnia. Cumin goes well with chicken, pork, lamb, fish, eggs, beans, peas, curry, eggplant, lentils, stews, soups, eggs, rice, and potatoes. Both dried whole and ground cumin seeds are available in cooking. Cumin also shares a similar flavor to other spices like coriander and caraway seeds, which is why you often see them in the same recipes. It is important to note that nothing can imitate the flavor of cumin entirely, since the cumin taste is a very difficult to duplicate. However, there may be times when you run out of cumin, or when you’re cooking for picky eaters or those with allergies. So, we have provided these cumin substitutes you can use instead. Ground coriander: Ground coriander (Coriandrum sativum) is also part of the parsley family. It is a decent cumin spice substitute, although it will change the flavor of some recipes. It has a lemony and earthy flavor like cumin; however, it doesn’t have the heat cumin has. At the same time, cumin can be used as a substitute for coriander. Like cumin, ground coriander can fight against infection and it promotes digestion. Chili powder: Chili powder is a spice mix that includes onion powder, oregano, cayenne pepper, garlic powder, paprika, ground chili, and cumin. Chili powder is an especially good substitute for cumin in chili. Although it still contains cumin, the flavor is far less bitter than cumin on its own. Be aware that using chili powder will affect the color of the dish since chili powder is red and cumin is light brown. There are also other potential substitutes for cumin seed; however, some may agree that the flavor is still a little strong, which is why they didn’t make the top two cumin substitutes. It is also worth noting that cumin is an ingredient in many of the ground cumin substitutes, including curry powder, garam masala, and taco seasoning. So, if you are allergic to cumin be sure to avoid them. Caraway seed: Another substitute for cumin powder is caraway, although cumin is much hotter, larger, and lighter in color. Due to the similarities, it is common to confuse caraway with cumin. 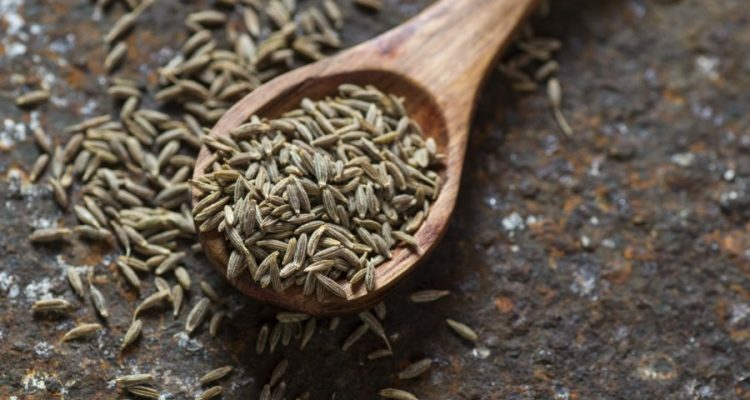 Some suggest caraway seed as a substitute for cumin seeds, but others disagree, since this spice is also quite potent in flavor. Garam masala: Cumin is also found in garam masala; however, if you are out of cumin, garam masala can also be a wonderful substitute for cumin seeds. Garam masala also contains pepper, cinnamon, cloves, and coriander, and its overall flavor profile is comparable to cumin. Curry powder: Curry powder also makes a great cumin substitute in cooking. Most curry powder contains fenugreek seed, coriander, cinnamon, black pepper, mustard, ginger, and turmeric. If you do decide to use curry powder as a cumin substitute, be aware that the color of your dish will change quite a bit from the yellow turmeric. Taco seasoning mix: Taco seasoning is another substitute for cumin powder. Taco seasoning mix contains cumin, as well as crushed red pepper flakes, oregano, onion powder, paprika, salt, pepper, garlic powder, and chili powder. That being said, store-bought taco seasoning mixes often are high in salt. As such, it is a good idea to make your own taco seasoning mix. Black cumin: You can also use black cumin (Bunium persicum) as a substitute for cumin powder. This is because black cumin is very similar to cumin; however, black cumin is somewhat sweeter. When cooked, the flavor of black cumin becomes slightly nutty, and therefore will not overpower a dish with bitter earthiness like cumin will. Turmeric: Turmeric (Curcuma longa) is another great cumin spice substitute on its own. Similar to cumin, turmeric is a fixture in Indian dishes. Both turmeric and cumin have an earthy and warm flavor; however, turmeric is a little milder than cumin. Paprika: Paprika is another cumin substitute with a distinct smoky flavor that is found in Mexican and Asian cuisines. Cumin has a limited smoky quality, so paprika as a substitute is a good choice if you prefer that particular taste. Fennel seeds: You can also use fennel seeds as a substitute for cumin powder. Fennel seeds are a lot sweeter than cumin seeds; therefore, fennel may be a good substitute in fish dishes, meatballs, and pasta sauces. Chipotle powder: Chipotle powder is another great cumin spice substitute due to its smoky flavor. Instead of cumin, add chipotle powder to hummus, Mexican beef, grilled chicken, and more. Anise seed: Another common cumin substitute is anise seed (Pimpinella anisum). That being said, some people would disagree about using anise seed to substitute cumin. This is because cumin and anise seed have two very different flavors. Anise seed is known for its sweet and licorice-like taste, while cumin has an earthy and nutty flavor. Oregano: It may seem weird to replace a spice used in Indian and Mexican cuisine with a popular Greek and Italian spice like oregano. That being said, the key to making oregano an appropriate cumin substitute is combining it with coriander. How much of a cumin substitute should you use to replace cumin? Let’s take a quick look at how much cumin substitute to use in lieu of cumin. Ground coriander: Start with a half-teaspoon of ground coriander when you need a teaspoon of cumin. Chili powder: Start with a half-teaspoon of chili powder when you need a teaspoon of cumin. Caraway seed: Start with a quarter-teaspoon of caraway seed when you need a half-teaspoon of cumin. Garam masala: Start with a quarter-teaspoon of garam masala when you need a half-teaspoon of cumin. Curry powder: Start with a quarter-teaspoon of curry powder when you need a half-teaspoon of cumin. Taco seasoning mix: Start with a quarter-teaspoon of taco seasoning mix when you need a half-teaspoon of cumin. Black cumin: Replace a half-teaspoon of cumin with a half-teaspoon of black cumin. Turmeric: Replace a half-teaspoon of cumin with a half-teaspoon of turmeric. Be aware that the dish will turn yellow. Paprika: Replace a half-teaspoon of cumin with a half-teaspoon of paprika. Fennel seeds: Replace a half-teaspoon of cumin with a half-teaspoon of fennel. Chipotle powder: There is no formula to substitute cumin with chipotle powder. Just add a little and taste the dish as you go. Anise seed: Use anise in moderation since it can overpower flavors in the dish. Use a quarter-teaspoon of caraway seeds and a quarter-teaspoon of anise seed to replace a half-teaspoon of cumin. Oregano: If a recipe calls for a half-teaspoon of cumin, use a combination of a half-teaspoon of coriander and a half-teaspoon of oregano. Cumin seed is an aromatic spice found in Middle Eastern, Mexican, Asian, and Indian cuisines. It is a strong-tasting spice with a bitter flavor. As a result, this spice is not for everyone. Also, if you are allergic to cumin, you will want to find a cumin seed substitute. Or, what do you do if you run out of cumin? It is a good idea to consider many of the cumin substitute options mentioned in this article, including ground coriander, chili powder, caraway seed, garam masala, curry powder, taco seasoning mix, black cumin, turmeric, paprika, chipotle powder, anise seed, and oregano when paired with coriander. “Cook with Cumin Seeds to Help Digestion & Immune System,” Dr. Axe; https://draxe.com/cumin-seeds/, last accessed April 4, 2018. “Cumin,” Genius Kitchen; http://www.geniuskitchen.com/about/cumin-20, last accessed April 4, 2018. “Cumin Versus Black Cumin – What’s the Difference?” Mercola, April 3, 2017; https://articles.mercola.com/sites/articles/archive/2017/04/03/cumin-versus-black-cumin.aspx. “What Can I Substitute for Cumin? All You Need to Know,” My Cooking Hero; https://www.mycookinghero.com/blog/what-can-i-substitute-for-cumin/, last accessed April 4, 2018. “Ingredients: Shahi Jeera, Black Cumin, Himali Jeera, Koshur Zur, Kala Jeera, Kashmiri Jeera, Kala Zeera,” Keep Calm and Curry on, Jan. 24, 2016; https://calmlycookingcurry.blogspot.ca/2016/01/ingredient-of-week-shahi-jeera.html, last accessed April 4, 2018. “The 7 Best Spices to Substitute for Cumin,” Simply Health Family, April 2017; https://www.simplyhealthyfamily.org/the-7-best-spices-to-substitute-for-cumin/.